History: middle aged male with trauma. Subtrochanteric Femur Fracture – 3D reconstruction of the most inferior portion of a CT of the abdomen and pelvis reveals a comminuted subtrochanteric fracture of the right femur. 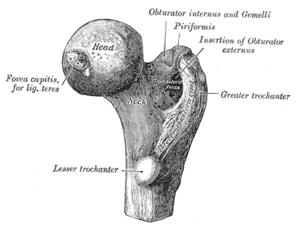 This is a subtrochanteric fracture of the femur. 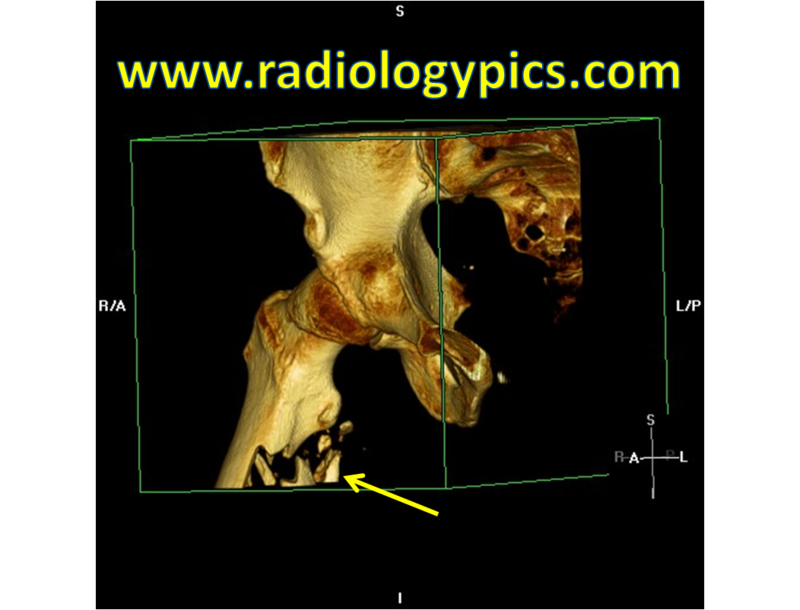 The above image is a 3D reconstruction from the raw data of a CT of the abdomen and pelvis, such that the patient did not have to undergo additional scanning and radiation exposure to get this image of the femur. See a pediatric femoral shaft fracture here. See below for a review of femoral anatomy.